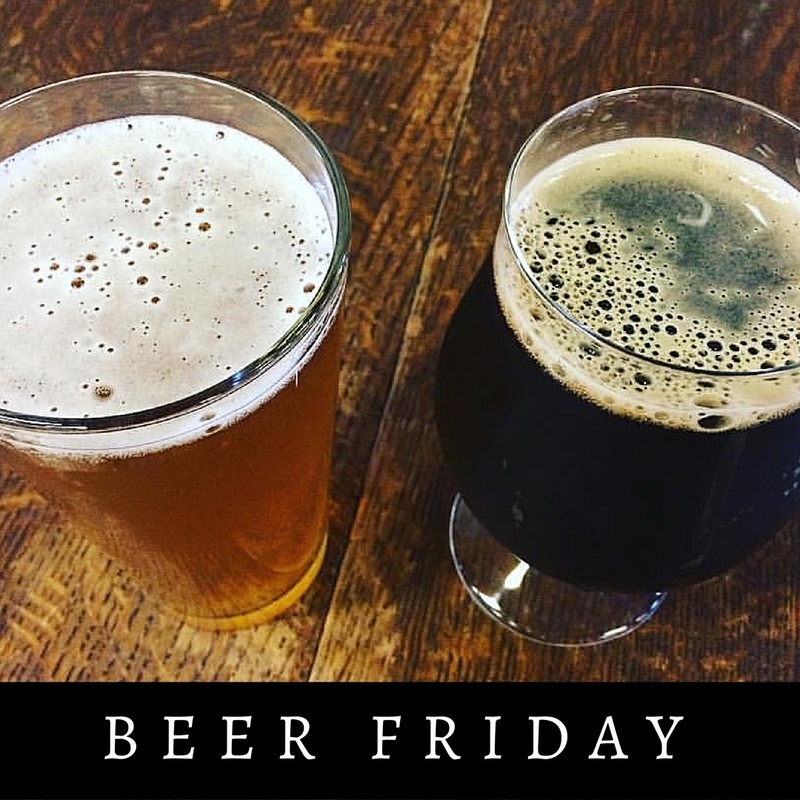 It’s Friday and it’s been a while since we’ve had a Beer Friday post! I am less than a week away from Feast Portland (check out my recent write up on Feast for my plans), and I can’t begin to tell you how excited I am to attend. Aside from the great food, there’s some stellar beer and cider that will be there and you can be sure I’ll be sipping and savoring my way through all of them. Seriously, check out the line up here! Here you have it, what I am most excited to have again, and what I can’t wait to try with this edition of Beer Friday: Feast Portland! Let’s start with some old favorites, shall we? First up is Base Camp Brewing-I won’t lie, the first time I had their beer, I only bought it because of the cool aluminum 22 ounce bottles (they also have cans). Their beers didn’t disappoint and the lightweight cans were perfect for camping. Once I had the S’more Stout, I was hooked. Later, it became the perfect beer to be used in pancakes, adding a sweet but deep and dark yeast flavor that went perfectly with a pat of butter and a side of bacon. Plus, breakfast beers are outstanding! I haven’t had a beer from Base Camp that I didn’t enjoy, but I was particularly fond of the S’more stout and the Lost Meridian Wit. Next up is Bridgeport Brewing-What I love about these guys is how easy it is to find their beer-whether you’re at Full Throttle Bottles, or Safeway, you’re going to spot them. Their beers are consistent from batch to batch and the price for a case is usually below $16, which is affordable. Their “year round” beers you’re likely to spot in stores are IPA heavy, but they offer some other solid non-IPA brews, too. I recently had their Stumptown Cherry Saison. It’s a good tart, kick in the lips that isn’t overly fruity. It’s a good summer beer that pairs well with lawn work and sitting in a hammock. I’m getting crazy here y’all and including my favorite cider company, Reverend Nat’s Hard Cider -A while back, one of my close friends moved to Portland, and started posting pictures of his drinks and the amazing events at the taproom. I had to know what was so amazing about these ciders that he was there weekly (or more). SO. MANY. AWESOME. CHOICES! It’s going to be hard for me to narrow it down, folks. First up is my favorite-the Hallelujah Hopricot (yes, you read that right); the name says it all; it’s slightly hoppy, slightly fruity, and oh so good. It’s amazing as a pork marinade, or with pork in general and it’s crisp and tart enough to cut through moderately fatty foods. It’s a solid choice. Next up is the Deliverance Ginger Tonic. This is a great base for a whiskey ginger-no simple syrup needed! The Revival Hard Apple is just what you would expect from a cider-crisp, a little sweet; kind of like early fall in a bottle. I’m really looking forward to their Winter Abbey Spice next, which hopefully will be out in the coming months. I could go on and on about these guys. Lastly, because they make some damn good beers that I both love to cook with and enjoy drinking, is Burnside Brewing. My favorite for green chicken chili is their Sweet Heat. Add a 22 ounce bottle, some hatch peppers and a ton of garlic and you have an amazing base to a solid chili. Don’t let that sweet fool you, it’s a tasty, tasty beer. Also amazing is their Oatmeal Pale, while I haven’t cooked with it, I have had enough of it to know you should go grab a few bottles! You can thank me later. Now that you know what I love and have vetted for you (it’s a hard life, I tell ya), what am I excited to check out? Nectar Creek Mead has really piqued my interest, particularly their Strawberry Rhubarb, which comes in at a whopping 9.8% abv. I’ll be sipping this one! As an herbalist I can’t wait to try the Clary Sage Session Mead as well. Worthy Brewing also has a few beers I want to try-both for drinking and cooking! Their Lights Out Vanilla Cream Extra Stout seems like something that needs to be the base for an ice cream float, or maybe added to a waffle mix with bourbon syrup. My heart also beats for a good German beer, so I’ll have to try out their Easy Day Kolsch. Last, but not least, I can’t wait to check out Yachats Brewing. They have a Huckleberry Wheat that may be calling my name, and the Tears of the Innocent sounds delicious-a sour wit? Yes, please! Are you thirsty yet? I know I sure am. This isn’t all of the breweries that will be at Feast, but a good summary. You should come check out the Portland beer scene and let me know which ones are your favorites! For those of you in the know, what are your go to breweries and which beers should I not miss? This entry was posted in adventure, beer, Food, On the town, wine and tagged #feast, #FeastPDX, #feastportland, #Portland #Oregon.